in this article, we will focus on the second step only, aggregation of similar articles. Let us state the goal explicitly: given multiple sources of documents, such as RSS news feeds, cluster together similar documents that cover the same material. For instance, both Reuters and Associated Press might cover Hillary Clinton's admission to hospital (which was a major story at time of writing). In the google news screen shot below we can see that USA Today, Detroit Free Press, Boston Herald and at least 10 other news organizations covered that story. We wish to recognize that these are the same underlying story and cluster or aggregate them. I'm not claiming this is an optimal scheme or will necessarily scale well and I did not focus on vectorized operations. It does, however, produce non-embarassing results in 100 lines of code. Later, we will discuss other approaches including the algorithm versus human debate. Now that we have this superset of keywords, we need to go through each document again and compute TF-IDF for each term. Thus, this will be likely be a sparse vector as most of the entries will be zero. We now have a single similarity number for each pair of documents. The next step is clustering. Initially, the most obvious might be to use k-means or k-means++ clustering. It is simple, well-known and can work relatively well. As well as getting stuck on local optima, the major problem here, however, is that one has to choose k. This is not always easy. Moreover, I strongly suspect that the characteristics of news changes dramatically. 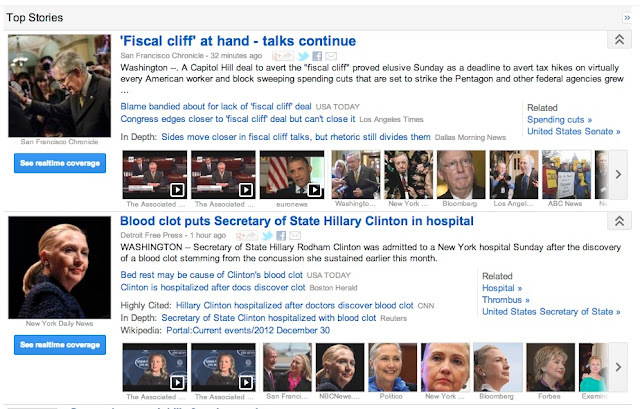 That is, on presidential election day, almost all top stories will be about voting and speculation on the results. That is, there may be very few, very large clusters. On slow news days that story landscape may be very different. As such, I think it would be difficult to choose a constant k across days and the characteristics of the data may change so much that a scheme to choose k dynamically might be tricky. I chose a different approach: agglomerative or hierarchical clustering. Here clusters are grown by fusing neighboring documents to form a tree. The structure of that tree may change radically among different days but we can choose a similarity threshold to prune the tree to a set of final clusters. That similarity metric can be constant over days. Finally, we need to chose a threshold from which to prune -- how similar is similar enough. 0.8 worked best for my data. There is then a little work to extract the clustered items from the dendrogram and print out the IDs and titles of the final clusters. The complete output is here. 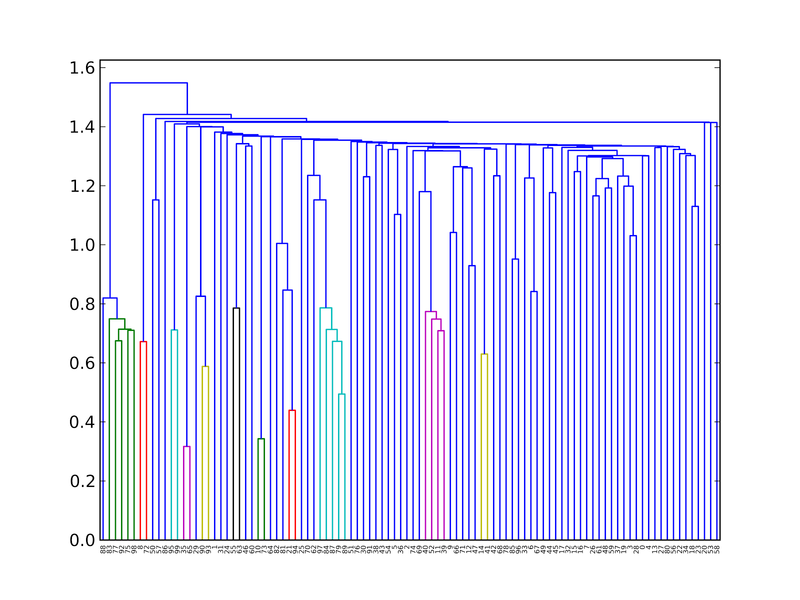 To sort the items within a cluster, the final news aggragator step, one could sort by PageRank using code such as this. We see good cluster around Huawei, Person, Kim Dotcom, Facebook/Snapchat, Tim Cook, and Netflix. All of those seem reasonable. The next is spurious. Next is a broader cluster around smartphones. The next is a good four story cluster around the HP and Autonomy scandal. The next cluster relates to broadband and the documents are related but not really about the same material. Finally, there is a cluster around "millions" which cover both dollars and square foot. The results are not great. 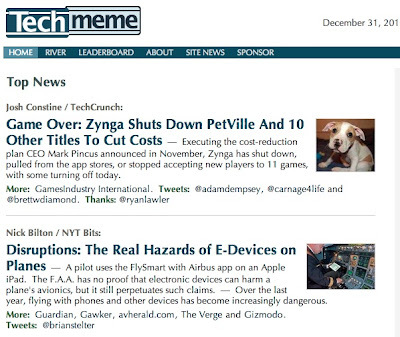 I'm not going to build a techmeme.com competitor from this. However, they are surprisingly respectable for a first pass and for so few lines of code. To try to improve results, I tried doing a weighted TF-IDF. That is, I suspect that words in the title are relatively more important than those in the description. Thus, I set a weight 1 for each word in the description and weight title_wt > 1 for each word in the title. When we compute term frequency I sum the weights for the words present rather than counts. The code for this change is here. I did not find that this improved results. The dominant parameter by far was the number of keywords from each document (nkeywords=4 above). Increasing this dramatically increases false positives (i.e. larger mixed clusters, such as the million cluster above). 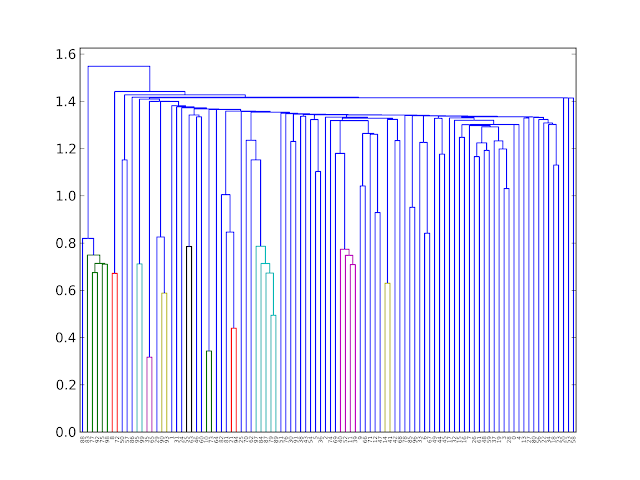 Reducing it below 4 led to very few clusters (for a given document similarity threshold). Actually, I was surprised that the optimal value of 4 was so low. I had expected a larger number would have been needed to disambiguate different the articles. Drones and drone are the same noun. Had I stemmed these it would have increased the TF-IDF of drone and created a space for an additional keyword. Our experience leads us to believe that a thoughtful combination of both algorithmic and human editing offers the best means for curating in a space as broad as technology. As mentioned earlier, news aggregation is not just about clustering similar stories. There are really three steps: story selection, clustering like documents, and selecting best item from each cluster. This is certainly a set of hard problems. Which stories might be of interest depends on the audience and other contexts. Clustering similar documents is probably the easiest subtask and that is fraught with problems, e.g. that a bag-of-words model does not distinguish millions of dollars versus millions of square feet. (Thus, a n-gram model might be another possible approach.) There is a sea of potential news sources, they have different foci, reputations come and go, quality changes, news organization editors vary and change too. As Gabe mentions, there is a temporal aspect too where there is a window of interest before the news get stale. There is no reason that an algorithm or suite of algorithms could not do this well. There are certainly a lot of social cues now that an algorithm could use to identify trending, interesting stories: the number of likes, shares or retweets; the reputation of those sharing the news; the number or rate of comments on those stories etc. To understand the audience and refine itself, an algorithm could use direct user feedback and again shares / like / retweets of those top stories. However, it remains a hard problem. With the big news sources covering core issues, smaller news operations have to work a different angle and sometimes those are the most interesting. Journalists are not consistent: they might write a blazing article one day and a mediocre the next. Thus, for now the algorithmic base + human editors or a pure crowd-sourced filtering (such as reddit) do seem to produce the best quality results. Thanks for sharing this. Really helpful and informative. My question is .Is it mandatory to have Visual Studio installed inorder to import the hcluster ? You will need to install that library yourself as it is not part of the core python 2.7. Thanks for the wonderful article. However, I see one issue in it. 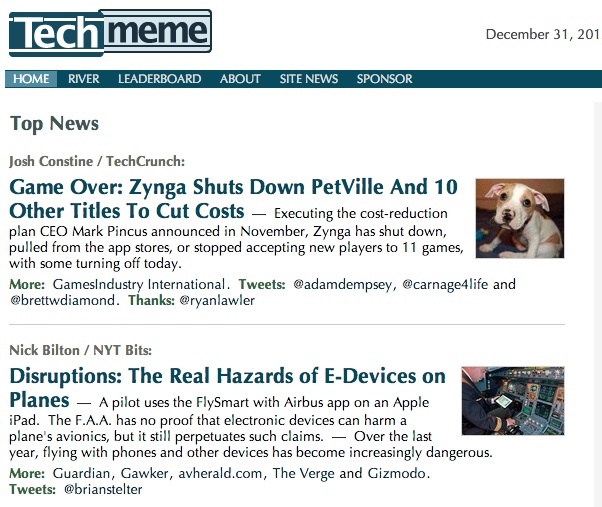 I actually tried using the code using a couple of google RSS feeds for news. I see duplicate results, just sources being different. On further digging, I see that they are same articles with minor changes to title and content. in that case, typically one would further preprocess the content by stemming or lemmatizing the content. Stemmers chop off word endings to leave word roots, e.g. airliner -> airlin (the final word root may or may not be a proper word) and lemmatizers turn a word into its canonical word form (airliner -> airline). NLTK has a whole slew of different stemmers (default=Porter) and a lemmatizers. This way, you standardize the content to enable more matches among similar but slightly different content. I hope that this helps. Hi Carl, thanks for such a wonderful article. Can also please provide some pointers/approaches for 1st and 3rd items i.e. (filter and choose) so that I can some research on that as well. Thanks for your kind words. For choosing a representative story, there are many ways but you could try to ascertain some sort of "reputation" metric for the source. Thus, CNN or Reuters should have a higher score than some small town newspaper covering the same story. One approach could be to use google. Searching for "wired" show 2.6 million followers on google+ but Techcrunch has 5.3 million. It is crude but it might work. For filtering, it kind of depends on the source of data and context. For instance, in some situations you could ask the reader to list their interests (as prismatic does) and you could do some keyword matching. You could cluster the data and look at the size of the clusters themselves. If there are 35 stories from different sources in one cluster, it is probably a big story. A terrific article. Thank you. Thank you for this post ! I'm sharing it with everyone I know. It's very well worded, straight up and to the point and I appreciate that.